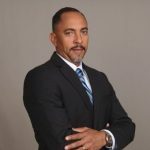 Charles Woods is a business consultant and financial coach helping people grow their business and improve their finances. He is a certified business coach, passionate about business processes and financial management. Prior to starting his consultancy business, he worked with a business coaching firm and has served as general manager for manufacturing and distribution companies. In moments of chaos or crisis, people come to him for advice. Analytical, calm and purposeful, Chuck likes to take a quiet approach to problems and keeps his cool even in the toughest of situations. 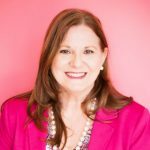 An inspirational business leader who founded and leads The Miami Group & Associates – a business management consulting, and public affairs firm that helps businesses reach their next level of excellence. 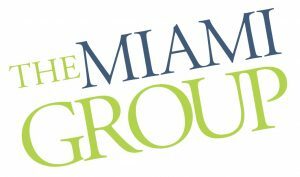 The Miami Group provides business and marketing strategic planning, innovative technologies, international expansion opportunities, and public policy advocacy to help grow organizations. 28 years of experience working in the field of Credit and Collection in various areas, in Brazil and worldwide. Present with active participation in the main institutions in the field of Credit and Collection – IGEOC, ACA, Latincob, IACC and TCM Group. Benchmarking in 34 countries, adding to and sharing knowledge inherent to the fascinating market of Credit and Collection. Our ultimate goal is to make this market ever more recognized as one of the invaluable foundations for the society and global economy, transforming methods, applying policies of BPO tailored to meet the exact needs of our clients and partners worldwide. 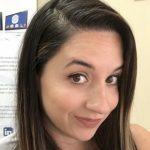 Adriana Duarte is the Screening Services manager of Smart Background Services, combined with over 7 years of experience and excellent customer services skills she is the person to go to when a background check is needed. Smart Background Services is an established company with an excellent track record for the best customer satisfaction. Our core business is to provide our customers with situational awareness in order to manage risk. We offer the best and most complete investigative background reports, credit reports and detailed, FCRA-compliant record information about prospective employees, tenants, business associates, and third parties. We pride ourselves in never compromising the quality of the services provided, always keeping customers satisfied with a cost-effective and high quality solutions. Banking Executive with 10+ years of experience in Credit Risk Management with an emphasis on Credit Risk Review and Underwriting of corporate, asset-based, commercial real estate, construction, private banking, consumer, and other complex credit transactions. Other areas of expertise include Credit risk grading, ALLL implementation and methodology, impairment testing, global cash flow, stress testing, and appraisal review processes. Throughout my professional career I have had experience dealing with regulatory examinations and consent orders. Strategic Human Resources business partner supporting multiple levels of business in executive coaching, leadership development and performance management. Skilled at conducting organizational diagnosis, designing and implementing transformational change, talent management and leadership development. Strong facilitation and communication skills with the ability to deal equitably at all levels of personnel. A comfortable, secure, future depends on your ability to earn and sustain wealth. We offer the most compelling tax-reduction, wealth growth, and benefits strategies for corporations, non-profits, and individuals. 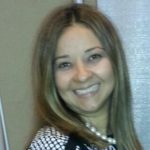 With more than 20 years of experience in leadership development, executive management, business development, and personal and professional relationship coaching, she possesses a keen ability to understand client challenges from a multidisciplinary perspective and to identify strengths and opportunities for the achievement of goals. 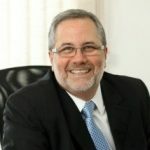 Dr. Jorge Guerra is a financial professional working with AXA Advisors’ South Florida Branch. His goal is to help people achieve financial freedom and reach their own personal goals. 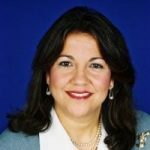 Dr. Guerra specializes in designing, reviewing, and implementing financial plans for others to successfully retire, get their financial business and personal lives in order, build wealth, and protect their assets. 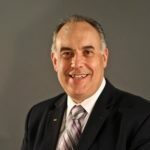 His focus is on building strong, long-lasting relationships with his clients to accurately and auspiciously address their needs in the areas of retirement, education, legacy planning, risk and investment management, among many other possible services. 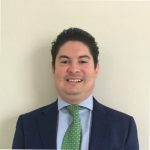 He likes to position himself as a financial resource so others may benefit from his own wealth of knowledge and experience, making himself available and welcoming all inquiries.